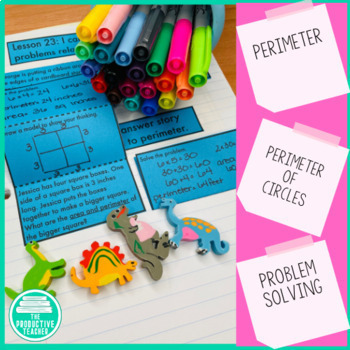 Are you looking for a way to bring more engagement to Engage New York or Eureka Math? 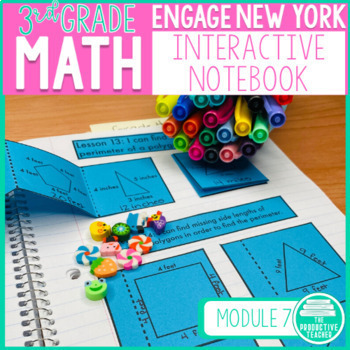 These interactive notebook pages give students more practice with all of the topics covered in Engage New York Grade 3, Module 6. There are two versions of the interactive notebook included. The original version is organized by topic and includes alternative exit tickets. The new version is organized by lesson. 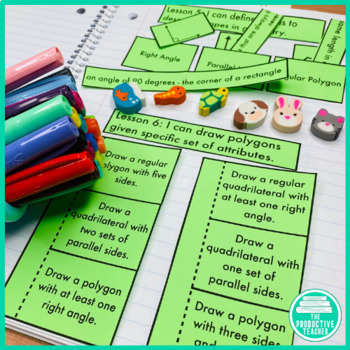 There is one set of foldables per lesson. Each set is on one-half page for easy organization. Engage New York's math program is available for free online and covers all of the standards for 3rd grade math under Common Core. 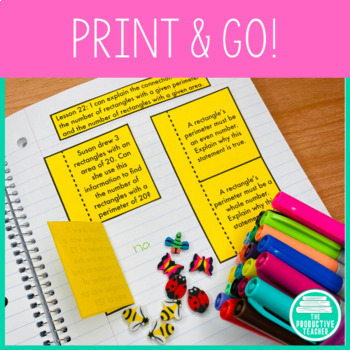 It includes practice sets, homework, and one exit ticket for each lesson. This product is a companion to that program. Important! This is only Module 6! To get a 25% discount, buy the bundle! Are you looking for another module from third grade? Are you looking for another grade level? I also have another version of the interactive notebook with no cutting! Remember to follow my store to be the first to know about all my new products! I list all my new products at 50% off for the first 24 hours!